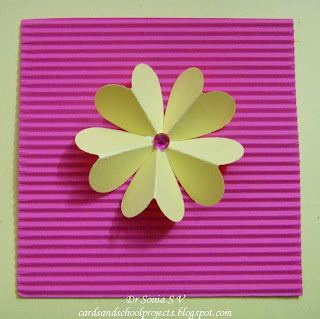 No special tools are needed to make these intricate looking flowers and you can use them to make cards or as 3 D flower decorations . 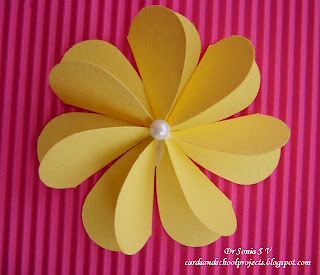 Since they are so easy to make you can whip up large 3 D projects easily using your paper flowers. 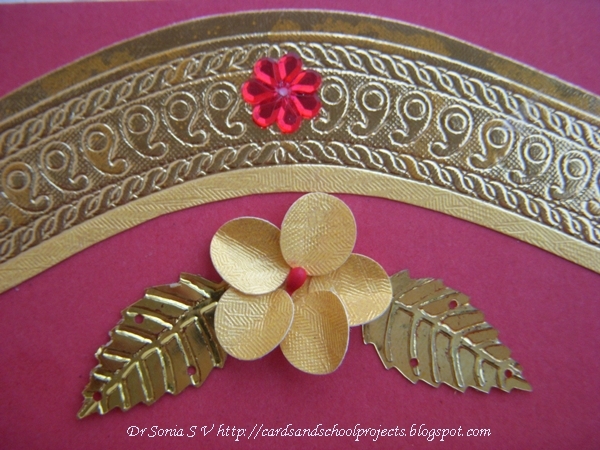 These golden flowers were made by recycling a wedding invite. 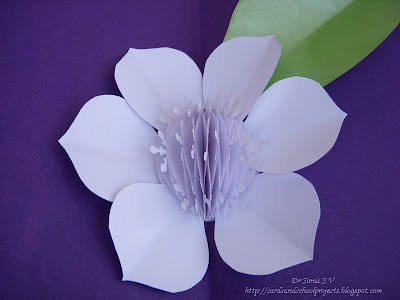 Choosing the paper to make the flower makes such a difference to the look of your paper flowers. 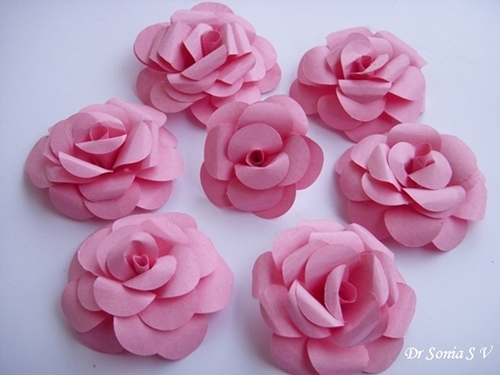 You can make them small or large by adding more petals to the paper rose. very nice to see full collection in one post. wow..thanks so much for sharing ! 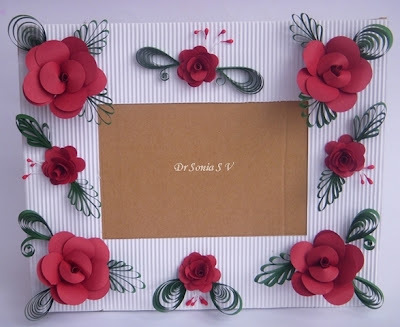 Thank You Smita I did so enjoy you quilled scrabble! thank you for the link to my blog Dr.! so many wonderful flowers. Helen its the least I can do as your roses are so out of this world! Oh Sonia! You are one talented lady! 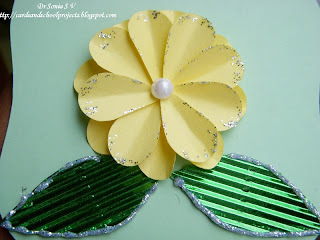 I love all of your flowers and I will share you blog with my sister as she loves to make flowers! I will have to try my hand, too! Oh that is so sweet of you Roxann if your sister has a blog I would love to visit her too! All I can say is Wow and more Wow. Spectacular. Hugs Mra a.
Hello Sonia. Oh my goodness, these are all GORGEOUS. You are so talented. Thank you for sharing. Wow what an awesome post! Very helpful for all crafters indeed! Each and every one of them fabulous!! Such a beautiful flowers!!! Love theme all! Thank You Mihalea ..you are the flower queen!! Well Done Sonia..your projects are always so beautiful & seeing all these previous posts & flowers, I really enjoy my visit.. 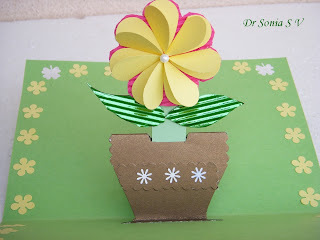 It's nice of you to put these flowers and tutorials in one post. They're all so very pretty. Nice post Doctor and thanks for linking to my blog. Suganthi -ji you are my guru!! This is amazing doc.. Thanks for an easy referral!! Thank You Khush -- you hit the nail on the head-- its a reference for me too! Thank You so much Monica you are so amazing yourself!! Thank You so much Angelin from you that's awesome ! I am impressed of all those beuauties that shows your talent and skill growing up like roses! Great ! How eloquent you are dear! Thank You ! Hope you're day was awesome! OMG, these are stunning!!! ALL OF THEM!!! I really love that honeycomb flower but I know I'd probably never be able to put anything like that together. You're an amazing crafter! Audrey you are selling yourself short-- you can make all these flowers and many more complicated ones super easily! Kate ha ha your comment made me think of a feast of flowers--I must be hungry!! Thank You so much dear! WOW! 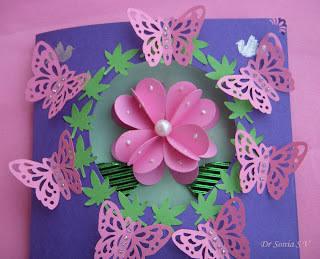 you are super talented Dr. Sonia and thank you for sharing with tutotrials! Thank you for visiting and have a fabulous day!! Thanks for sharing all these wonderfull flower tutorials in one post. Oh it's so wonderful that you've listed all your amazing flowers here! All so gorgeous Sonia! Love your house in the previous post too! Wow aunty,the flowers are AMAZING! You make Beautiful creations aunty! Sharon!! YOU are one talented young lady and your flowers will be much more beautiful than mine...that fawn of yours is mindblowing!! 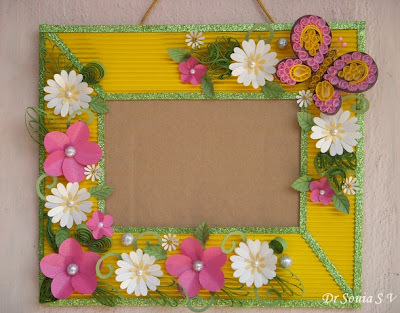 Penny here in India its difficult to buy flowers for crafting so its easier to make them! oh this is great. Not only another look at all your lovely flowers but the links to all of them in one spot. Thank You so much Ann I made this post both for me as well as my readers! Wow beatiful collection of flowers. 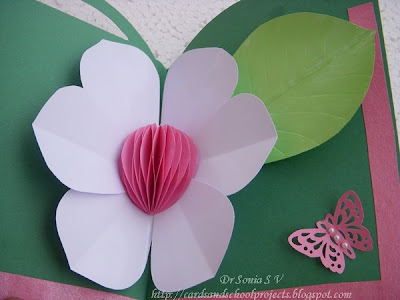 I would like to suggest you to use a lightweight paper in future to give delicate effect to the flowers. 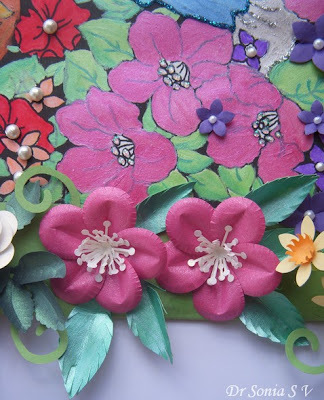 also use more pastel colours rather than solid colours to add finishing touch to your project. Thank You Akshaya but I guess in crafting each person has his or her tastes.I tend to work with colors and papers which are easily available! WOW!!!! WOW!!!! These are all GORGEOUS!!! Awesome job! Thanks for sharing! SHerrie so glad to see you pay me a visit! Yvonne I am going to link to those awesome felt flowers of yours in my next "non paper" flowers tutorial post! wow! Lovely flowers all of them. 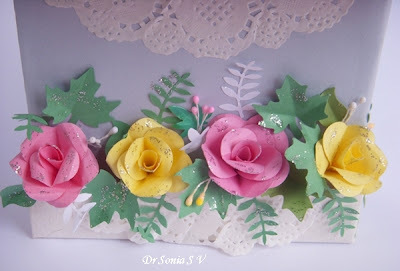 will try the paper roses as soon as I get some time.Thank you for the lovely post. 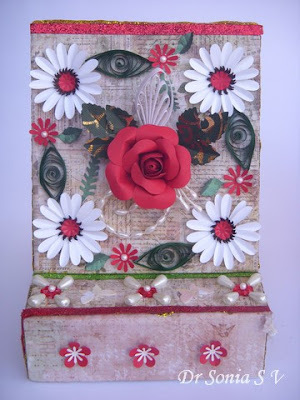 It would help me lot coz I recently developed interest for crafts. OMGosh! These are so cool. Thank you, thank you! Do I have your permission to share a snippet of this on my blog, with a link here? Oh Teresa that is so kind of you.I would be honored! Wow - thanks - Dr Sonia - I need to learn from you on time management and amazing work. Hugs to you and your lovely creative daughter. Thank You so much for the kind words Seema. I am not too good on the time management front these days as not able to visit all my blogger pals! 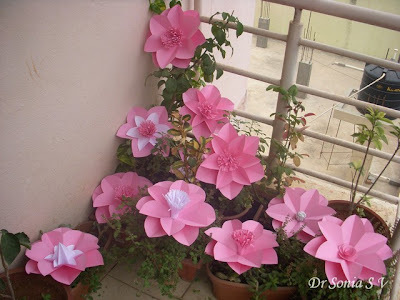 Oh Sonia, these flowers are beautiful!!!! I love learning how to make new flowers so this is right up my street! Thank you for the tutorials!! Naomi I would love to see your flowers! 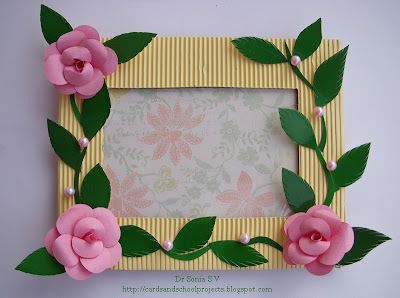 wow, these flowers are gorgeous.... thanks for sharing so many tutorials in one place! Laura Thank You so much for dropping by and thrilled that you are following me ! 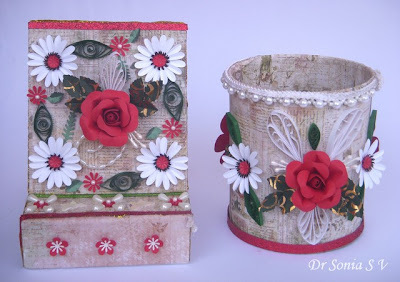 Its really appreciable Dr.Sonia, not only you create wonderful crafts but also share the techniques and take efforts for such wonderful tutorials which help crafter like me.Thanks a lot ! Oh Thank You Pooja such words help me to keep blogging and sharing! Wow, Sonia! LOVE every single flower! You are so sweet and generous to share your amazing talent with us!! And to put all of the tutorials in one place is so thoughtful and wonderful!! I am bookmarking this page so I can find it easily!! And wow, all of the flowers you have displayed are gorgeous!! Thanks for visiting and the nice comment inspite of the horrible pic. Oh wow! They are all so lovely! WOW!! Your flowers and tutorials are amazing! Awesome tutorial... Thanks for sharing so many techniques. Of the thousands of Blogs: This is the very best one. Thank you for the time you put in to show everyone! Just Beautiful and outstanding. wonderful! very helpful! 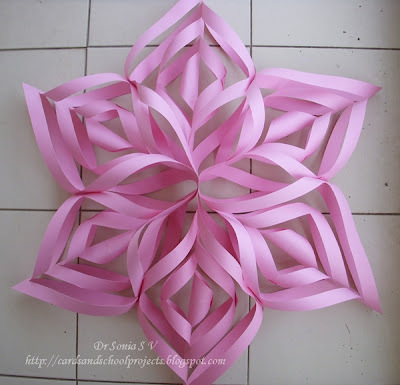 any craft ideas for dummies/beginner moms please? 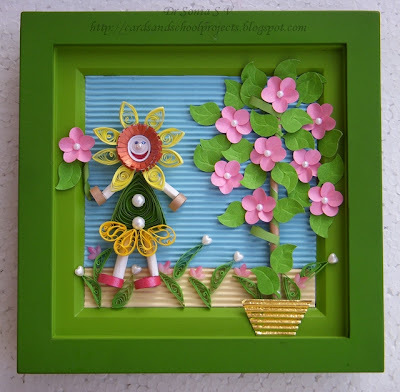 Nitya anything which makes your kiddo and you happy is a good craft!! liked them so much that had to reblog them. I am very impressed with all these beautiful flowers. Very well done, stunning! I am one of your BIG Fannnnn !!!!!! great and awesome work. God graced u with magic hands.Best wishes to u and ur daughter. she might be the next Dr.sonia with magic hands.